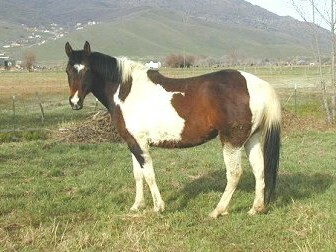 Quarab horses are an exclusive combination of Arabian and Paint or Quarter Horse breeding. They are a wonderful blend of Pleasure type and Stock Type. A Quarab can be "custom made" for your choice of style and movement, size and athleticism, and a wonderful temperament to go with it! Quarabs can excel in many arenas, from Pleasure and Halter, Jumping, Driving, & Dressage, to Cattle classes, Reining, Trail/Endurance Riding and more!